Diminished lung capacity can negatively affect your quality of life. Various factors -- such as emphysema, smoking, lung cancer and asthma -- can decrease your lung function. Weak lung volume is not the only reason you might wish to increase your capacity. Athletes, singers, musicians and other health-concerned individuals also look for methods to strengthen their already healthy lungs. Specific exercises can help you increase your lung capacity. A deep-breathing technique for increasing lung capacity is called "Mother Breath." Do this exercise by slowly inhaling for seven seconds. Hold this breath for one second, then slowly exhale for seven seconds. Hold for one second before repeating the sequence. Implement resistance by inhaling deeply through your nose and then exhaling through your mouth with your lips closed except for a small opening for resistance as you push out the air. For variation, do breathing exercises while lying down with pillows under your knees and neck. Place your hands on your stomach just below your rib cage and breathe deeply, allowing your stomach to expand and push your fingers apart, then breathe out slowly, feeling your stomach fall. In response to retaining air for a longer period of time, your lungs expand and increase in capacity. Develop a lightweight lifting and stretching routine outside of the water and practice it until you become comfortable with the routine. Then, move your workout into an exercise pool or other body of water at a depth that reaches your neck. While performing your stretching and weight-lifting routine under water, you take shorter, quicker breaths, due to the water's pressure on your body and the movement of blood into your chest. Because your body must work harder to receive air, your lung capacity improves over time. 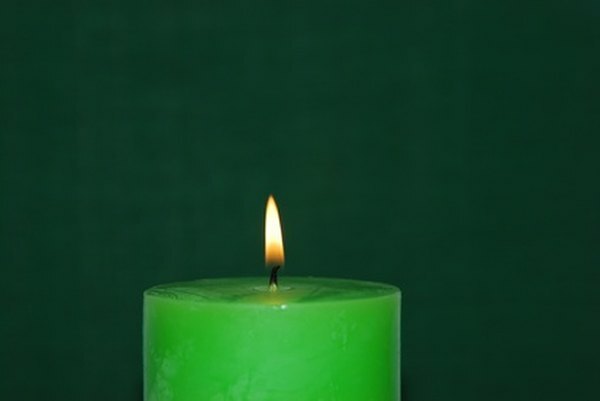 Extinguish a lit candle with a long, slow breath. Move the candle farther away each time you master this skill from a certain distance. Do the Chinese breath exercise by inhaling sharply three times without exhaling. On the first inhale, raise your arms in front of you to shoulder height. On the second inhale, move your arms outward -- like a scarecrow. On the third inhale, raise your arms straight up -- pointing toward the ceiling. Make an arc with your arms as you bring them down to your sides during exhale. Perform 10 to 12 breaths.